We are excited to share this guest article by Angelica Carsolin from Comparakeet, which talks about rose gold engagement rings. How often do you see rose gold accessories and devices around you? 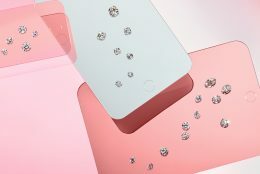 While the color itself has been in use in the fashion industry since the 1920s with Cartier’s Trinity ring, it only returned to the spotlight — with demand for it skyrocketing — when Apple decided to introduce a rose gold variant to the iPhone 6s model back in 2015. The leading tech company is known not only for their line of computers and mobile devices, but also for their fashionable, trendsetting design. Since then, rose gold has been prevalent in almost every fashion accessory there is, from mobile phones, to clothes, to bags, and of course, to bridal jewelry. 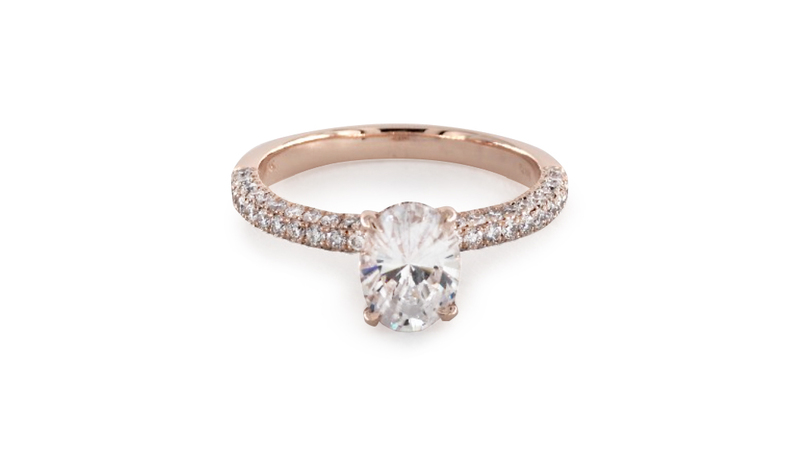 Rose gold engagement rings in particular have been quite popular lately, especially among celebrities. Intrigued by this latest fashion trend? Let’s take a closer look at who has worn them, what your options are and, of course, how much they cost, shall we? Gossip Girl socialite Blake Lively got a lovely engagement ring from now-hubby Ryan Reynolds. 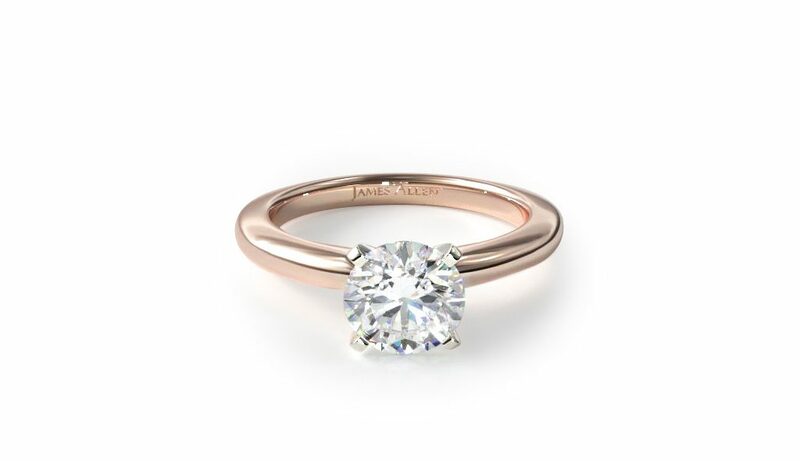 Complementing the rose gold ring was a 12-carat pink oval-cut diamond with a split shank band, a lovely combination which is estimated at around 2 million dollars. 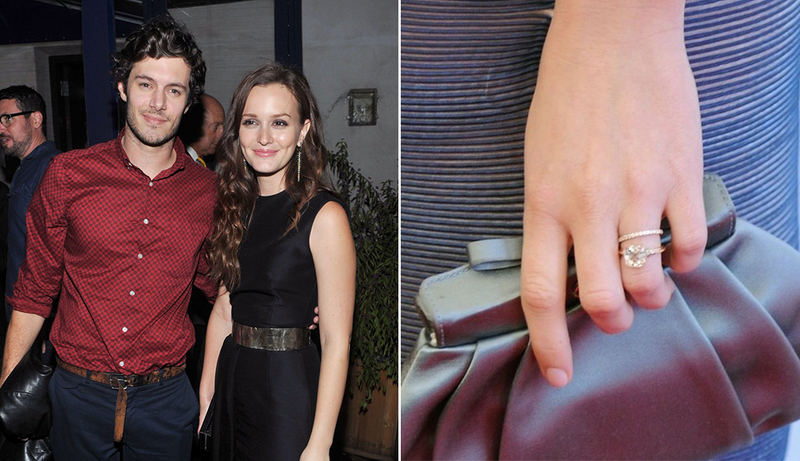 Joining her Gossip Girl co-star in the rose gold and diamond engagement ring trend, Leighton Meester got engaged to Adam Brody with a bezel-set 4 carat cushion cut diamond engagement ring. The Hills star and TV personality Lauren Conrad gave the world a look at her engagement ring after being wed to William Tell. 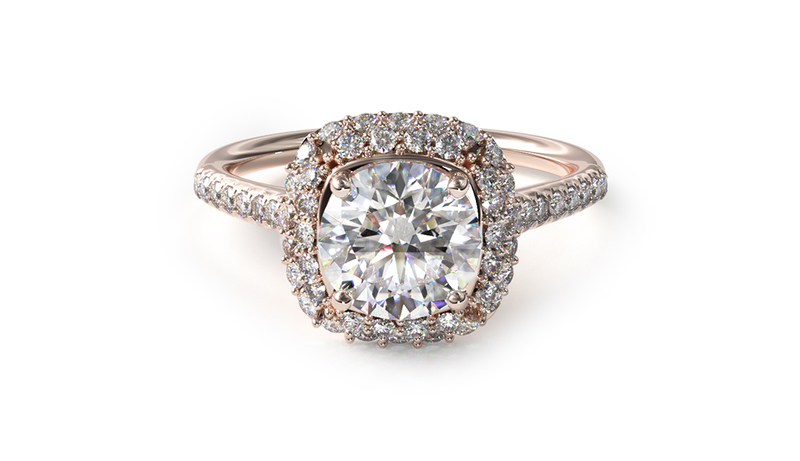 The ring features a classic round-cut diamond in a traditional solitaire setting. 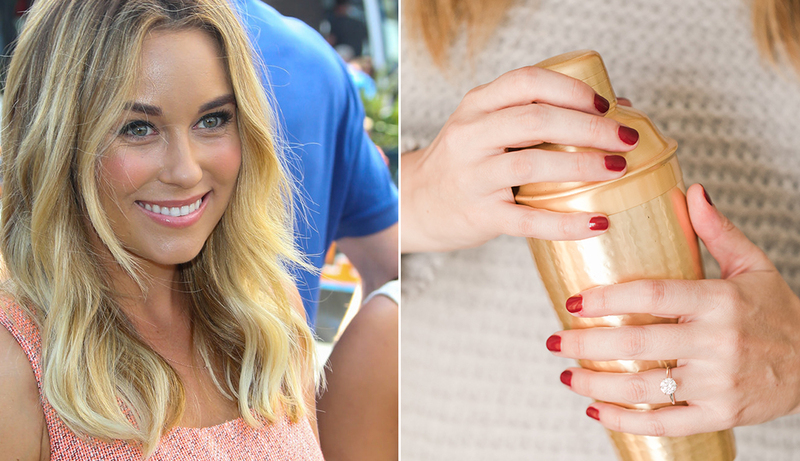 It looks like Lauren Conrad isn’t the only one from The Hills to wear a rose gold engagement ring. 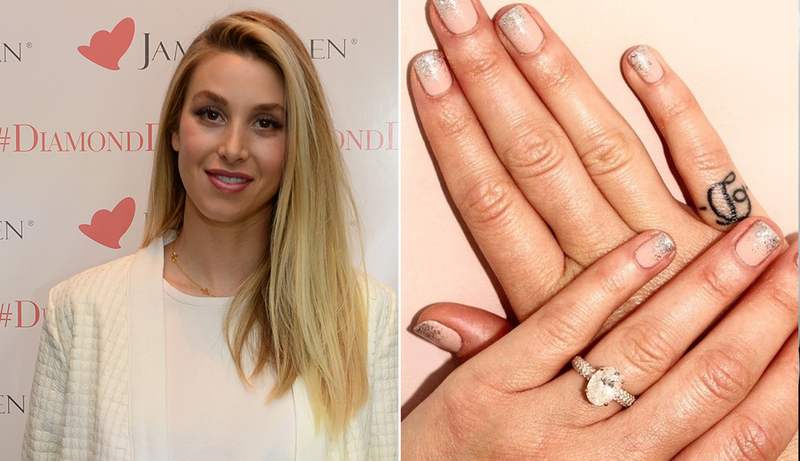 MTV star Whitney Port got an oval-cut diamond ring from longtime boyfriend Tim Rosenman. 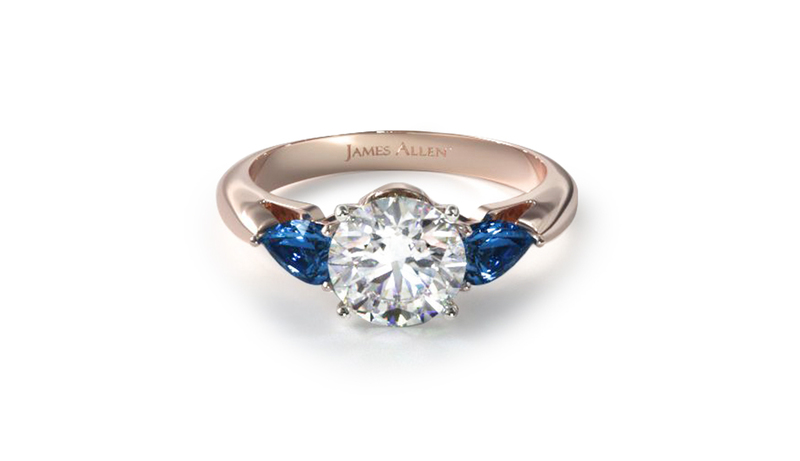 Planning to get a rose gold ring for your engagement? 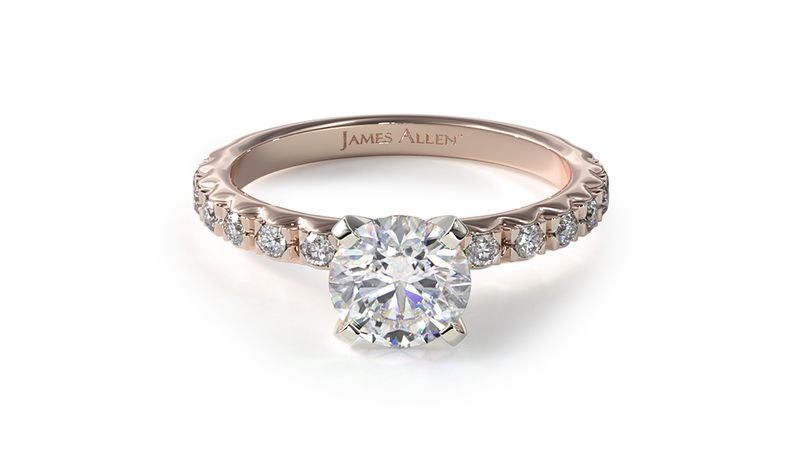 At James Allen, you have hundreds of setting choices and 200,000+ conflict-free diamonds — all of which can be viewed in 360° HD, allowing you to see the ring from every angle. 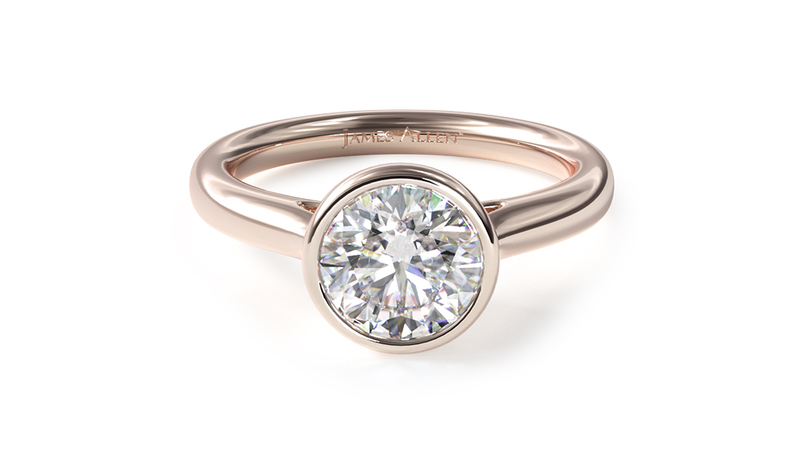 Take a peek at some of the rose gold best sellers! 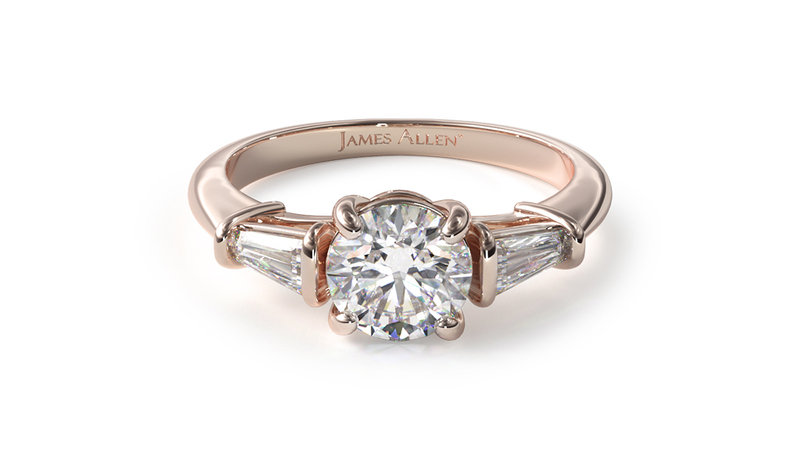 If you want to see more of James Allen’s rose gold engagement ring collection, check out their gallery here. For a more detailed look at James Allen, check out this review from Comparakeet which outlines the ins and outs of their online store. 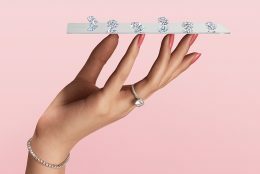 They managed to bag the top spot of the site’s Best Online Diamond Stores list, which means you can expect a wide variety of diamond jewelry options, fast and secured order delivery, and customer-friendly policies. Which of these celeb’s rose gold engagement rings are you favorite? Tell us in the comments below!